Sure, you can find “different” things in those out of the way shops in North America. What we would consider “different” in Canada is the mundane in Japan, even common. At Tokyu Hands (best described as a big craft, DYI and everything in between store), you wander from the mundane to unique in moments. On a Sunday we had to get craft supplies for my son’s science project. 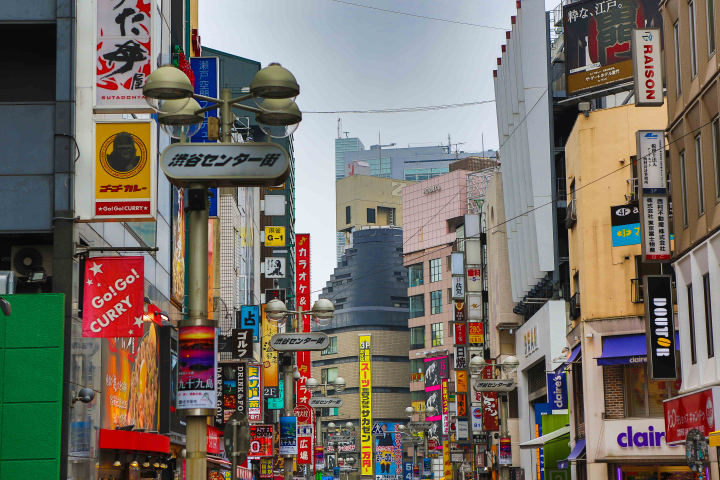 Here are a few things that caught my eye (I had my 5D with me as we were heading over to Yoyogi afterwards). The street outside the store. Busy, busy. 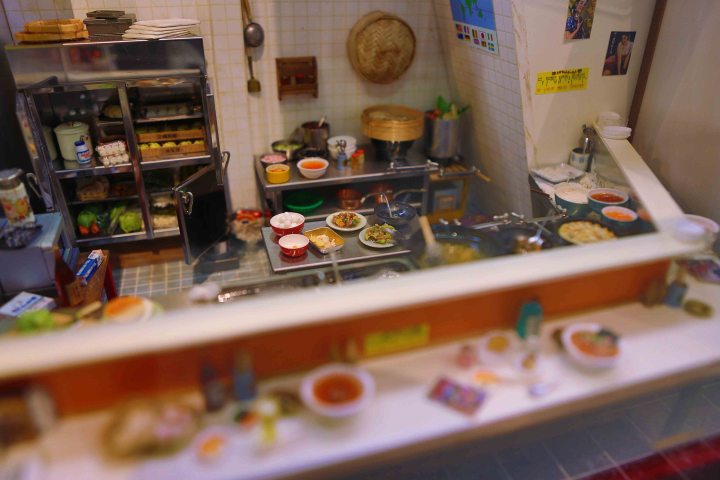 This diorama of a kitchen is valued at …. wait for it … $3500. You can almost smell the rice. Who would buy it? Not sure. Remarkable detail. Who feels it necessary to buy these for the house? Not sure. But they are “Home Sign’(s). Japanese people LOVE their dogs. I mean LOVE. So much so, that they dress them up non-stop. 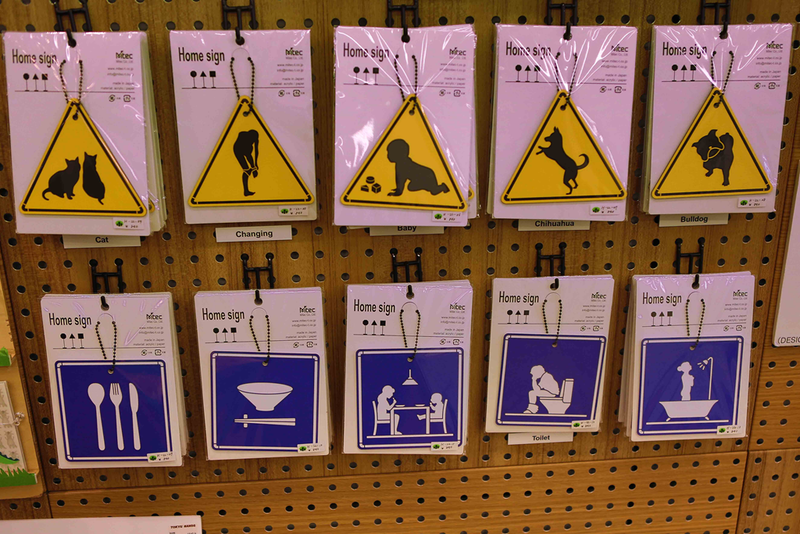 For that special pooch in your life, look not farther than Tokyu Hands my friends. Check out http://doggiespotting.org for some great Tokyo dog shots and their crazy outfits. I am not sure why you would buy these coloured specimens, but there is lots of choice .. although they are not cheap. 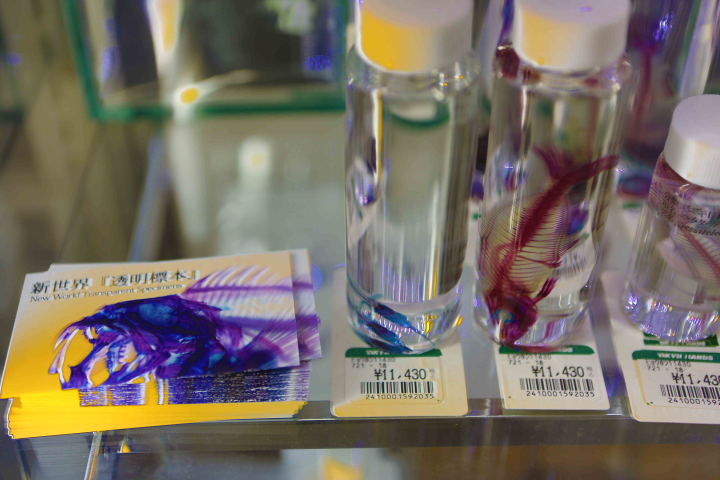 Our boys were looking at the bottom shelf, which had the $400 specimens. 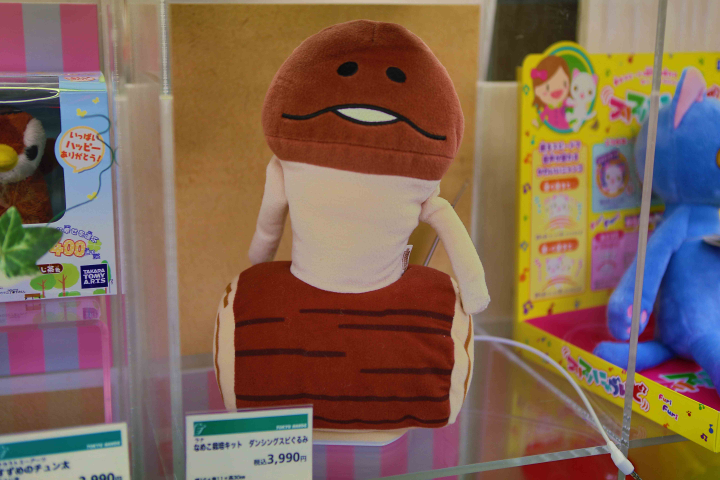 This is from the popular mobile game Touch Detective Mushroom Garden. I found it disturbing. 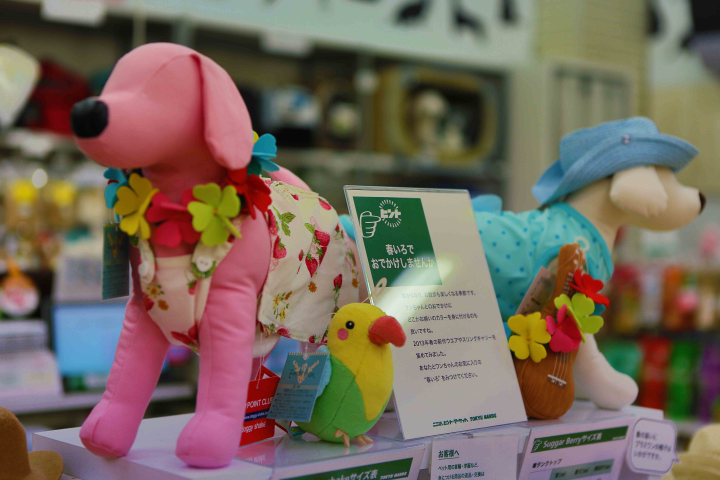 This entry was posted in Our Asia Adventure and tagged dog outfits, funny, Japan, Shibuya, tank models, Tokyo, Tokyu Hands by michaelweening. Bookmark the permalink. funny how you can go out and have a ‘normal’ day, but it turn out to be a little more ‘disturbing’ than you think after you take a few pictures and really ‘think’ about what you took. With or without the context of Japan, it’s often the case of the ‘disturbing’ side.. isn’t it? So many times you walk in/out/through some place and just think, “WTF was that? ?” I think it happens every day. My adventure is today.. I’ll be in Ginza, which is usually a bit more tame than the rest of Tokyo (usually!) lol. So I typed in 「がーる 」 in Google, and the autofill/complete for the search did the rest. 「Girls und Panzer」 is an animation that has been out for more than a year… crazy. 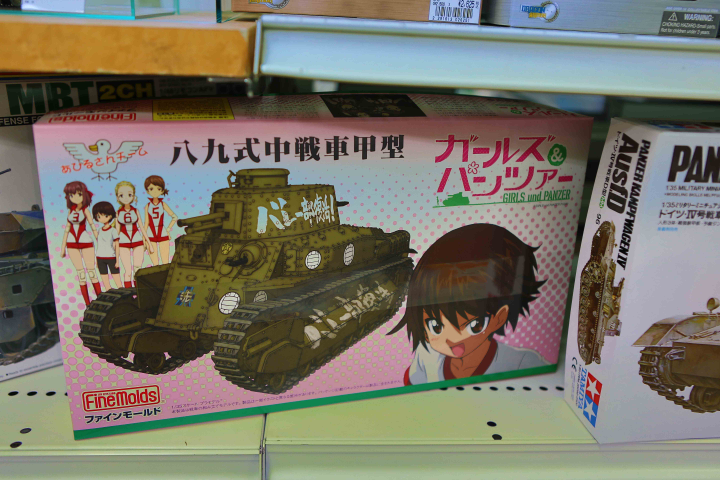 Three first year High school girls that take an elective class about tanks? ….wtf? Then they make a ‘club’ (like after school sports/activities called the ‘tank club’) …i guess they are learning how to drive/shoot a tank. Well said. There isn’t a day that goes by that I don’t have a similar experience. The female “fashion” alone is enough to leave you scratching your head at least once a day (depending on where you are). Where else does every other woman ride a bike in 4″ heels and a ridiculously frilly dress? If there ever was a city that marches to it’s own drummer blissfully unaware of the shocked onlookers, it is Tokyo. Everyday, a new surprise. Enjoy while we can. North America will seem quite mundane in comparison. As a visitor to Tokyo when I was still back in ol Blighty , every year I would make sure a trip to Tokyu Hands was on the schedule. 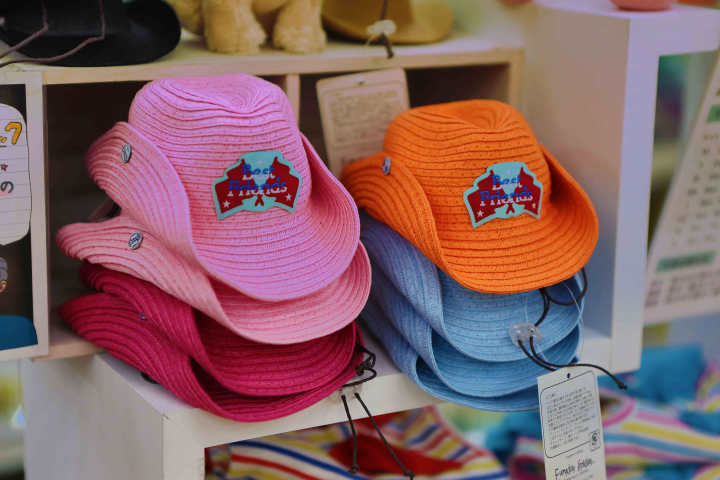 You can buy just about everything under the (rising) sun here. Everything from Gundams to bags, to clocks, accessories – anything.